Los Angeles Phone Numbers - Cebod Telecom "
Give your business a Hollywood feel – locating it in a popular California summer destination. With our premium phone service, your business can get local phone numbers in Los Angeles county– and be used with Cebod Telecom Cloud Phone System. Local phone numbers are available for all 88 cities in Los Angeles County, including Hawthorne, Santa Monica, Beverly Hills, Burbank, West Hollywood, Malibu, Long Beach, Inglewood, Torrence and many more. What are the benefits of choosing Cebod Telecom Local Los Angeles Phone Service Number? All basic and premium features available at no extra cost. Cebod Telecom provides phone service throughout USA and Canada. Create Local Presence for your Business. Whether it is forwarding a call, routing it, or maybe recording a custom greetings – at Cebod Telecom, we make sure to get you a LA phone number quickly and easily. The multi-city feel you have been aiming for comes easy with our all-inclusive features. 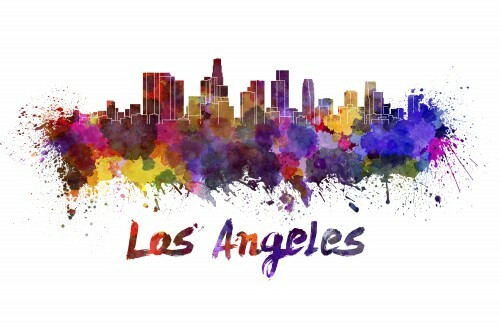 With a local presence in Los Angeles, our phone service covers all areas throughout LA (213, 310, 424, 323, 818, 562, 626)– making your virtual phone system your strongest competitive advantage. Beverly Hills, The Spanish ranch known for growing lima beans, is today home to the country’s celebrities and investors. The popular Rodeo Drive is must see destination for every tourist and a heaven for shoppers. Create a local presence for your business in the beach cities and upscale neighborhoods such as Beverly Hills, Carson, Culver City, Gardena, Hawthorne, Inglewood, Lawndale, Lennox, Lomita, Lynwood, Manhattan Beach, Rancho Palos Verdes, Redondo Beach, Santa Monica, Torrance, West Carson using Cebod Telecom cloud phone services.We provide local phone numbers for the area codes 312 and 424, along with all other major cities in the county. West Hollywood is home to the popular, Sunset Strip. This part of Sunset Boulevard, is best known for its unique restaurants, boutiques and colorful billboards. Getting a local phone number with the area code 323 can help grow your business in the cities neighboring the strip. Some of the common cities in vicinity are Bell Gardens, Cudahy, Bell, East Los Angeles, Florence-graham, Huntington Park, Maywood, Montebello, South Gate, West Hollywood, Westmont. Phone Numbers are available for all the cities listed in Los Angeles County with area code 626. This includes the cities -Alhambra, Altadena, Arcadia, Azusa, Baldwin Park, Covina, Duarte, El Monte, Glendora, Hacienda Heights, La Puente, Monrovia, Monterey Park, Pasadena, Rosemead, Rowland Heights, San Gabriel, South El Monte, South Pasadena, South San Jose Hills, Temple City, Valinda, Walnut, West Covina, West Puente Valley. Cebod Telecom provides Managed Cloud Based Phone System for business looking for reliable, scalable, flexible and economical phone services. Getting a local phone number for popular cities can help customers reach out to you without having to pay long distance charges and can give a local community presence to the business. Area code 562 serves Bellflower,Cerritos, Downey, La Habra, La Mirada, Lakewood, LongBeach, Norwalk, Paramount, Pico Rivera, Seal Beach, South Whittier, West Whittier -los Nietos, Whittier and we are able to provide phone numbers for all of them. Phone Numbers are available for all surrounding geographical areas in the county whether it is, East L.A., West L.A. or any other neighborhood. Some of cities listed under area code 818 area code are Calabasas, Glendale, La Canada Flintridge, San Fernando, Agoura Hills, Burbank, Calabasas, Glendale, La Canada, Flintridge, San Fernando. Cebod Telecom is able to provide local phone numbers for all the cities in L.A.county. Don’t hesitate to call us ( 1-800-839-3817 ) for information regarding the area codes listed or any other valid local phone area which you need numbers for.